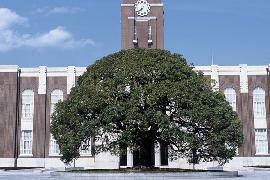 Kyoto University is the second oldest national university (imperial university) in Japan. It was established in 1897 by renaming and reorganizing the Daisan Koto Gakko, or “Third Higher School” that had been founded in the Edo period (1603-1868). 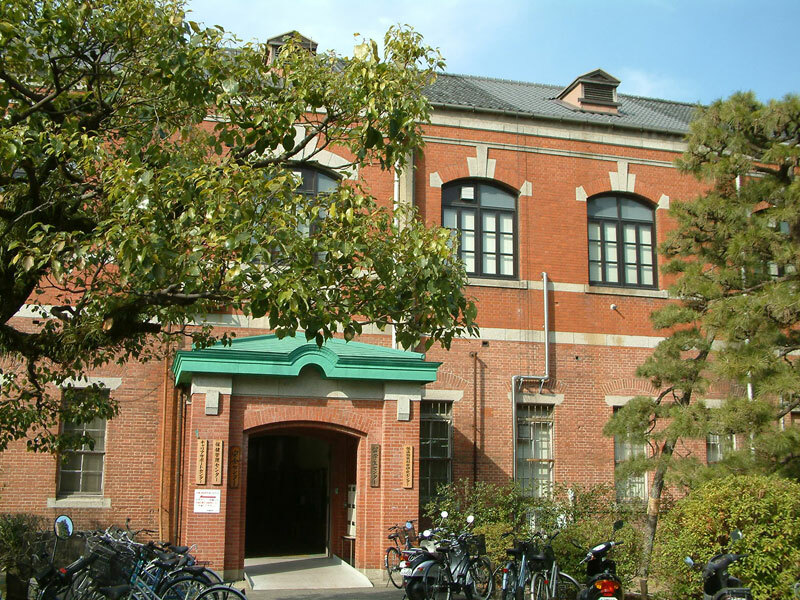 This first incarnation was known as Kyoto Imperial University, and had just one department, the College of Engineering. Since then, however, the university has grown, expanded and been rearranged a number of times, and today it comprises 10 undergraduate facilities and 14 graduate schools. Rivaled only by The University of Tokyo in the scope and quality of its research, Kyoto University is deservedly one of Japan’s best known universities on the international education and research platform. Since the very beginning, Kyoto University has been deeply committed to freedom in research, education and learning. This academic freedom has allowed the university to foster creative and capable graduates and researchers who have been responsible for some of the most noteworthy and pioneering research seen anywhere in the world. Kyoto University has long been a popular choice with outstanding scholars from overseas, too, many of whom are drawn not just by the promise of a challenging academic environment, but also by the stunning natural beauty and historical architecture of the city of Kyoto. Kyoto University also hosts a number of international symposia every day, bringing together top-level researchers from around the world. Soon after the end of the Pacific War, in 1949, Dr. Hideki Yukawa, a theoretical physicist working at Kyoto University, was awarded the Nobel Prize in Physics, the first Japanese ever to receive the honor. Through his theoretical work he predicted the existence of the meson, which was subsequently proved through experimentation, and his receipt of the award signaled the international acceptance of and acclaim for his work. At the time, Dr. Yukawa was one of three leading names in theoretical physics, alongside Dr. Sinitiro Tomonaga, who was awarded the Nobel Prize in Physics in 1965, and Dr. Shoichi Sakata, who proposed the two-meson theory. All three men were graduates of the University, and all three collaborated, argued and debated with each other as they worked on theories and findings that would shape particle physics for years to come. Thanks to these three men, Japan was firmly established as the world leader in particle physics, a position it still commands today. The research of physicists Drs. Makoto Kobayashi and Toshihide Maskawa, who were awarded the Nobel Prize in Physics in 2008, follows in the footsteps of these three grandfathers of particle theory in Japan. 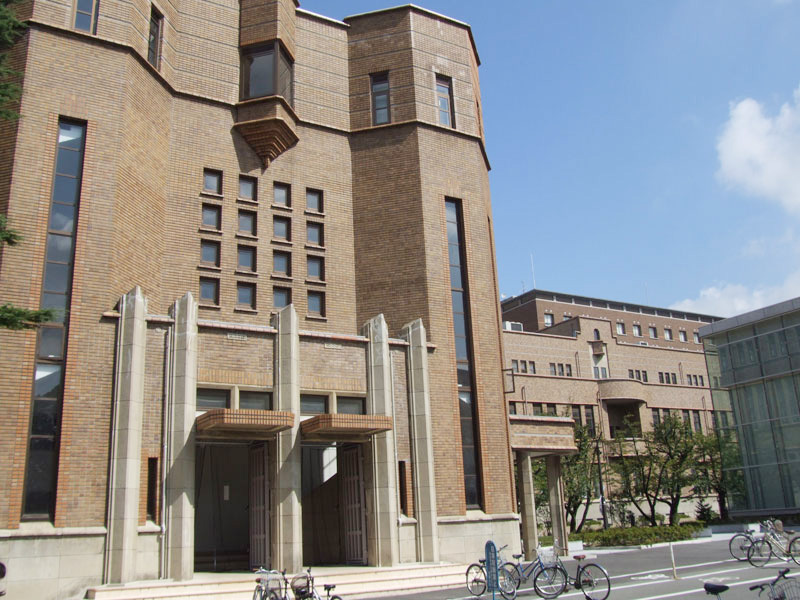 The attention that Kyoto University received, as a result of the pioneering progress being made in particle physics at the Graduate School of Science, led to an influx of outstanding scholars and researchers. Dr. Ryoji Noyori, who was awarded the Nobel Prize in Chemistry in 2001, was one such student. Dr. Noyori is a graduate of the School of Engineering, which also counts among its world-leading alumni Dr. Kenichi Fukui, another Nobel Laureate in Chemistry who received his award in 1981. In mathematics, too, Kyoto University has fostered many scholars who have contributed to the advancement of the discipline over the years. As of 2001, three Japanese nationals have been awarded the Fields Medal, the highest accolade in mathematics, and two of those medalists have been graduates of Kyoto University. Both Drs. Heisuke Hironaka and Shigefumi Mori have developed innovative models in algebraic geometry. Kiyoshi Oka, a prodigal mathematician who worked in the field of complex analysis, was also a graduate of Kyoto Imperial University. The field of medicine has also been enriched by research findings from Kyoto University. In 1987, the Nobel Prize in Physiology or Medicine was awarded to Dr. Susumu Tonegawa, a graduate of the Kyoto University School of Science. His research on the generation of antibodies has made a significant contribution to immunology. More recently, in 2007, Dr. Shinya Yamanaka, succeeded in generating adult induced pluripotent stem (iPS) cells. These iPS cells present an alternative to and less of an ethical taboo than embryonic stem (ES) cells, which had been crucial to much research up until that point. The cells also suffer less immune rejection during transplant, which is an important breakthrough. In 2008, Dr. Yamanaka’s revolutionary research was selected as one of the themes for the Special Zones for the Promotion of Advanced Technology by Japan’s Ministry of Economy, Trade and Industry. At Kyoto University, CiRA, the Center for iPS Cell Research and Application, was established in 2010, and is now the core facility for research and development into iPS cells and their application. Kyoto University also has a strong tradition of excellence in letters and humanities. Kitaro Nishida was the founder of the Kyoto School of philosophy, a movement that sought to consider how Japan, an Asian nation, should assimilate and adapt to the Western philosophy and ideas that were coming to be globally dominant at the time. His seminal work, An Inquiry into the Good(1911), is still widely read throughout the world. Dr. Teiyu Amano is just one of the many students who were influenced by Nishida; after studying Kantian philosophy at Kyoto University, he taught at the university before going on to become Minister of Education. Many of Japan’s best known and loved authors are graduates of Kyoto University. Kazumi Takahashi, for example, who was a novelist and expert in Chinese literature, graduated from Kyoto University with a bachelor’s degree in Chinese language and literature in 1954. Kyoto University is also renowned for its world-leading research on primates. In 1967, the University established the Primate Research Institute, one of the preeminent centers for primate research anywhere in the world. Japan is unique in that it is the only fully developed country in the world with an indigenous nonhuman primate population; for more than forty years the University has made the most of this unique position to advance our understanding of nonhuman primates, based on the principle that this will ultimately help up to understand the origins and evolution of human nature. The Institute’s multiple and pioneering research projects cover many themes, including the Ai Project, which examines chimpanzee intelligence, as well as field work on bonobos. Other unique research projects include regional studies in Asia and Africa, and research programs on natural disaster science. Regional research seeks to allow scholars to achieve a deep and contextual understanding of Asian and African regions through an interdisciplinary approach that incorporates both the humanities and science. The meta-aim of such research is to contribute to better and more harmonious inter- and intra-regional coexistence with each other and with nature. Natural disaster research also utilizes disciplines from both humanities and science to consider natural disaster on a global scale, and work towards the construction of safe and stable social infrastructures able to cope with disaster. Today, Kyoto University is home to research that is unique and unrivaled in quality, encompassing old and new academic disciplines alike. What is common to all research is the goal of translating findings and achievements into practical social currency. The Kyoto University Office of Society-Academia Collaboration for Innovation has been established precisely to facilitate such translation, and is proactive in seeking out partnerships and collaborations with research projects and industries throughout and beyond Japan. Kyoto University is also committed to publicizing and sharing its research achievements with the international community. To this end, international symposia have been organized overseas on an annual basis since 2000 to promote the University’s work. Finally, Kyoto University offers diverse opportunities to international students, including the Kyoto University International Education Program (KUINEP), which offers exchange placements with students from universities with which Kyoto University has an academic exchange agreement. The University is currently developing measures to encourage more Japanese students to take part in international programs in the future. 1870-1945. Philosopher. Founder of the Kyoto School of philosophy. The concepts that shaped his philosophical approach are best expressed in An Inquiry into the Good (1911) which tackles the issue of the integration of Western philosophy and Eastern thinking. He took a position as an associate professor at Kyoto Imperial University in 1910, and later became professor in 1913. 1903-1989. Technologist, researcher, adventurer. After graduating from Kyoto Imperial University, he joined Tokyo Denki (now known as Toshiba). He invented the vacuum tube, and developed a reputation as a genius of innovative technology. He left private industry to return to Kyoto University as a professor. During his time as a professor he also took on the roles of vice captain of the first Japanese Antarctic Research Expedition, and captain of the Antarctica Wintering Party. His participation in these expeditions helped to deepen our understanding of Antarctica. 1906-1979. Theoretical physicist. After graduating with a bachelor’s degree in physics at the Faculty of Science, Kyoto Imperial University, in 1929, he worked on research into quantum mechanics. He proposed a renormalization procedure to solve the discrepancy between the experimentally observed and computed mass of electrons, and continued to work on the procedure until his theory was complete. He was awarded the Nobel Prize in Physics for “fundamental work in quantum electrodynamics, with deep-ploughing consequences for the physics of elementary particles”. 1907-1981. Theoretical physicist. After graduating with a bachelor’s degree in physics from the Faculty of Science at Kyoto Imperial University in 1929, he began his research in particle theory. He predicted the existence of the meson, in addition to the proton and neutron, as a third component of the nucleus. This proposal was later proved correct through experimentation, and he was awarded the Nobel Prize in Physics for “his prediction of the existence of mesons on the basis of theoretical work on nuclear forces”. Yukawa was the first Japanese ever to be awarded any Nobel Prize. 1918-1998. Chemist. After graduating from the School of Engineering, Kyoto Imperial University, with a bachelor’s degree in industrial chemistry, he dedicated himself to research on basic chemistry. He proposed the Frontier Orbit Theory, which was able to explain all chemical reaction processes, including those which apparently contradicted electron theory. His achievements were recognized when he received the Nobel Prize in Chemistry for his “theory concerning the course of chemical reactions”. 1924-1994. Biologist. After graduating with a bachelor’s degree from Kyoto Imperial University, he began his research into genetics. He proposed the neutral theory of molecular evolution, which argues that changes occur at the molecular level which are neither advantageous nor disadvantageous. This is in addition and in parallel to Darwin’s theory of natural selection, which by contrast posits that those best able to succeed in a competitive environment will survive. In 1992 he became the first and so far only Japanese national to be awarded the Darwin Medal, which is the world’s highest accolade in biological research. Born in 1931. Mathematician. After graduating from Kyoto University he began his research in algebraic geometry. He was awarded the Fields Medal in 1970 for research that established the resolution of singularities in characteristic 0 in all dimensions and the resolution of singularities in analytic varieties. He was President of Yamaguchi University for a time, and is current Emeritus Professor at Kyoto University and Harvard University. Born in 1938. Chemist. After graduating in 1961 from the School of Engineering, Kyoto University, with a bachelor’s degree in chemical engineering, he remained at the University where his research focused on optical isomers. He succeeded in obtaining BINAP catalysts, organophosphorus compounds which can be used in the asymmetric synthesis of organic matter. He received the Nobel Prize in Chemistry for his “work on chirally catalysed hydrogenation reactions”. Following various senior academic posts at Nagoya University, he now chairs the Education Rebuilding Council. He is also President of RIKEN, a leading science and technology research institute in Japan. Born in 1939. Medical scientist. After graduating with a bachelor’s degree in chemistry from the School of Science, Kyoto University, he moved to the United States to continue his research on molecular biology, focusing particularly on immunology. He has made significant contributions to our understanding of the principle of antibody generation by discovering that when early embryonic DNA differentiates into B cells (a type of white blood cell), the necessary genes are recombined. Since being awarded the Nobel Prize in Physiology or Medicine for his “discovery of the genetic principle for generation of antibody diversity” he has branched his research out into the fields of brain science and neuroscience. He continues to work from his base in the United States. He is currently Picower Professor of Biology at MIT. Born in 1951. Mathematician. After graduating from Kyoto University, he continued his research into algebraic geometry. He developed the Extremal Ray Theory, making possible the classification of algebraic three-folds and further research into birational transformation. His work then allowed him to prove the existence of minimal models for three-folds, an achievement that won him the Fields Medal in 1990. He has been a professor at the Research Institute for Mathematical Sciences at Kyoto University since 1990 and from 2011 to 2014, He served as Director. Born 1962. Medical scientist. After graduating from Kobe University, he began to work in clinical medicine, before deciding to commit to medical research. In 2006, he discovered that it was possible to generate induced pluripotent stem (iPS) cells by introducing just four pluripotency genes into adult mouse fibroblasts. The next year, in 2007, his team managed to prove that the same method could be used to create human iPS cells. This ground-breaking discovery has been welcomed as a viable substitute for the ethical minefield of ES cells. In 2009, he received the Albert Lasker Award for Basic Medical Research. Today, he continues his research as Director of the Center for iPS Cell Research and Application at Kyoto University. Shoichi Sakata was one of the leading figures in particle physics in Japan, along with Hideki Yukawa and Sinitiro Tomonaga. In 1956, he presented work that would come to be known as the Sakata model, proposing that all elementary particles were made from just three building blocks, the proton, the neutron and the lambda baryon, and that all hadrons were made from these particles and their antiparticles. Makoto Kobayashi and Toshihide Maskawa, who were awarded the Nobel Prize in Physics in 2008, are two of many graduates of the so-called Sakata School, having been under his tutelage during their academic careers. He graduated with a degree in physics from the Faculty of Science, Kyoto Imperial University in 1933, and was appointed professor at Nagoya University in 1942.